Jo Nesbø, Norway’s multi-talented artist and best-selling author, had to be admitted to a local hospital this week following an “acute illness.” It forced cancellation of the concert he planned to take part in with his band Di Derre in Skien, Telemark County, this weekend, but he was reportedly recovering on Friday. Telemarksavisa was the first to report on Nesbø’s illness, the nature of which was not revealed. “We are so sorry about this, but because of acute illness, Jo Nesbø has been admitted to hospital and the weekend’s concert must therefore be cancelled,” the band’s manager, Lisbeth Wiberg Olsen of Backstage Management, wrote in a press release later in the day. “We hope for a speedy recovery for Jo, so that the other concerts (on the band’s summer tour) can go on as planned,” Olsen wrote. The band, which was wildly popular when formed in the 1990s, was scheduled to perform at Skien Live this weekend. 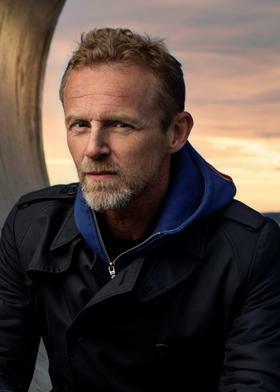 Nesbø, who also has played professional football and worked as a successful stockbroker before becoming a best-selling crime author, sings and plays guitar in the band that made a comeback in 2013 with the double album Historien. The band also celebrated a jubilee in 2013 but the year was marked by sorrow when Nesbø’s brother Knut, who played guitar in the band, died. Unni Wilhelmsen took over as new guitarist and Di Derre now consists of Wilhelmsen and Nesbø on guitar and vocals, Magnus Larsen Jr on bass, Espen Stenhammer on drums, Halvor Holter on keyboards and Lars Jones on guitar. The band has also released a new album called Høyenhall, its first original work in 20 years. It’s produced by Espen Lind, a successful vocalist himself perhaps best known for his hit with “When Susanna Cries.” The album received good reviews this week.